Roof cleaning Dawsonville GA is one of the most important cleaning service because it make your house look perfect. 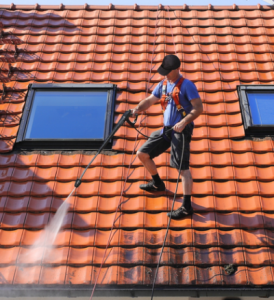 Many home owners think that roof washing is a very easy task and they can do it themselves. However, true roof washing or cleaning needs a professional rule and regulation and also techniques. Roof cleaning Dawsonville GA is not as easy as you think. At Foxland Cleaning we focus on the total experience provided our customers. So due to all these reasons Foxland Cleaning provide roof cleaning services so that our client feel free to call us for this service.